Both durable and stylish, yard signs are the perfect addition to your lawn. 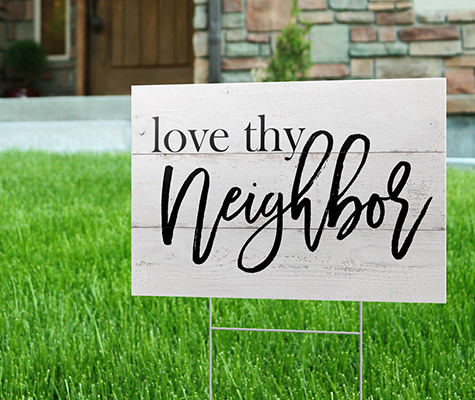 Whether you’re promoting an event, celebrating a holiday, or simply wanting to add some flair to your lawn, these yard signs can help. 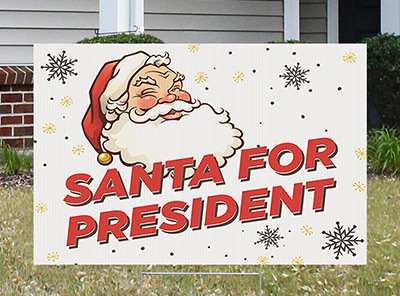 Our collection of yard signs provides a professional-yet-playful way to get your message across. Our yard signs are made from durable, corrugated plastic and can withstand most elements. We also print with high-quality UV inks to promote long-lasting and sharper images even after years of use. This means you can use your yard sign year-round, rain or shine. Yard signs are available in two sizes and a growing variety of designs.